Arsenal could reportedly receive a boost as Roma director Monchi has been tipped to leave the Serie A giants. As noted by the Independent last month, the Spaniard has been linked with a move to north London as head of recruitment Sven Mislintat is set to leave the Gunners. 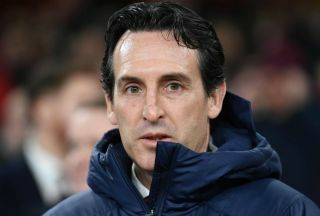 That in turn could lead to a reshuffle in the hierarchy, with a technical director role being touted for Monchi, who knows current boss Unai Emery very well following their stint working together at Sevilla. According to Calciomercato, Arsenal’s hopes of appointing him could be set for a boost as it’s claimed that the current Roma director is having doubts at the Stadio Olimpico and could consider a new challenge elsewhere, with Arsenal and Manchester United specifically mentioned in the report. With the Giallorossi continuing to battle for a top-four finish in Serie A this season, it remains to be seen whether or not they achieve their key objective of qualifying for the Champions League. Should they fail to do so, that could perhaps lead to difficult questions being asked of Monchi and coach Eusebio Di Francesco, as that would not only be a disappointment on the pitch, but also with regards to their financial position off it with revenue from Europe’s premier competition undoubtedly crucial to their model. The report suggests that Monchi could very well angle for an exit at the end of the season, and should that materialise, paired with the Independent’s report suggesting Arsenal are eager to bring him in at the Emirates, it could lead to a reunion with Emery in the summer.